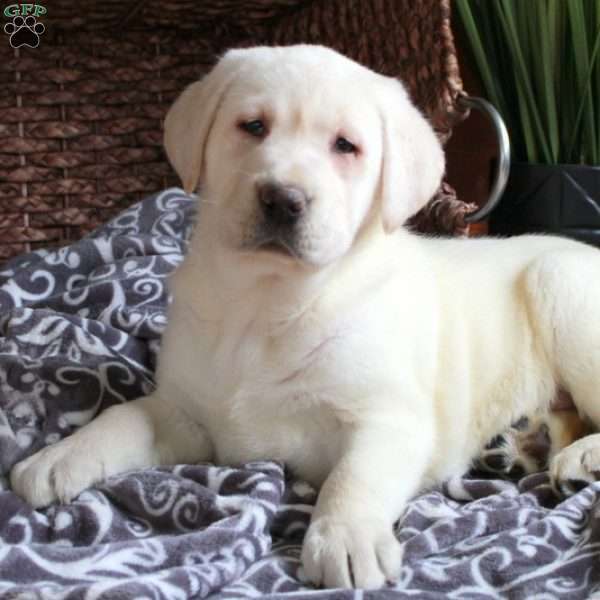 Petunia is a gorgeous and quite lively Yellow Labrador Retriever puppy. Her friendly and playful personality will bring lots of joy into your heart and home! Petunia has been vet checked and is up to date on shots and wormer, plus comes with a 30 day health guarantee provided by the breeder. 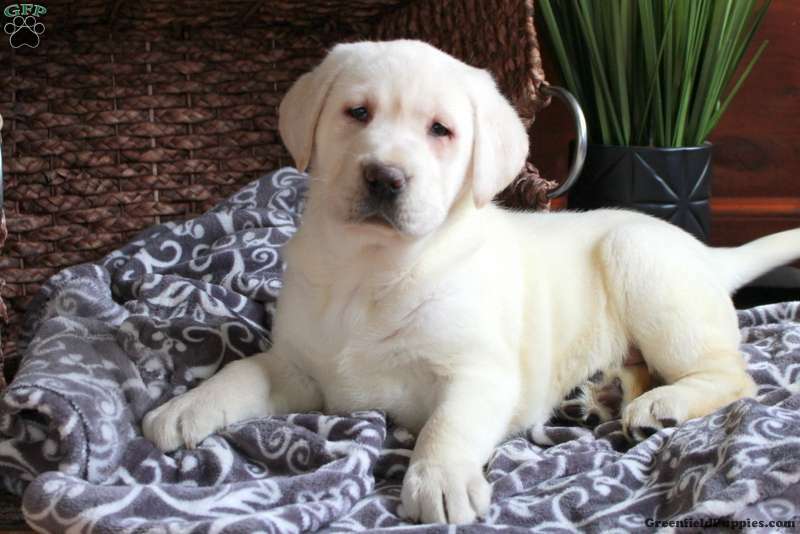 She can be AKC registered also. 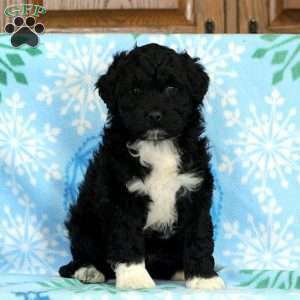 Contact Kate Ebersole today for all the details and to set up an appointment to meet this nice pup!